Criminal Record Checks help you to select safe, honest and reliable people, while deterring dangerous individuals from trying to join your organization. BackCheck has conducted over 3 million Criminal Record Checks for Corporations, Not-For-Profit Organizations, and Individuals across Canada. From Canadian Police in 24 hours or less! Share results with any organization - FREE! Easy administration - Forgery-proof online results - Get rid of paper! Volunteers can share their results with multiple organizations for free! 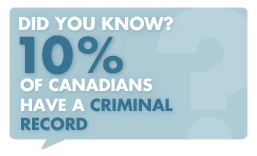 Investigate further with SterlingBackcheck's most comprehensive Canadian criminal screening product! SterlingBackcheck's Enhanced Police Information Check (E-PIC) provides clients with a comprehensive search of police information held within multiple data sources. In addition to the conviction information located in the RCMP National Repository of Criminal Records, this service reveals additional conviction and non-conviction information held within both national and local police databanks. BackCheck's proprietary web-based report delivery system provides real-time delivery of results. As each service is completed and passes our quality assurance protocol, clients are updated automatically via the web. Using a unique username and password, clients can login to view reports for all of their candidates. BackCheck's police partners provide 3 types of Criminal Record Check results: "Clear", "Not Clear", and "Not Clear - Accurate Disclosure". To provide the most accurate results, some clients choose to Zero-In on a "Not Clear" Result. A: BackCheck conducts criminal record checks based on the name and date of birth of an applicant. Please note: Specific details of a criminal record conviction cannot be released without fingerprint verification. Fingerprinting can be conducted by local police or accredited fingerprinting companies, whom BackCheck has partnered with for the convenience of our customers. Please contact BackCheck for further information. A: Used by Canada's largest financial institutions, electronic ID Verification (eIV) is the industry standard in confirming identity online. Your credit file is used to confirm your identity. Part of this process includes questions relating to your personal credit history. This process has no effect on your credit score. A: BackCheck's police partners provide 3 types of Criminal Record Check results: "Clear", "Not Clear", and "Not Clear - Accurate Disclosure". If your candidates results reflect "Not Clear", you can either choose to Zero-In with BackCheck’s proprietary eConsent technology, or send your candidate to the police station for fingerprints. A: BackCheck returns your Criminal Record Check results in 24hrs. Additionally, a 4hr rush service is available for checks. A: The information given to our clients is provided by an authorized Canadian Police Agency. BackCheck works with numerous police departments across Canada to obtain Name-based Criminal Record Checks from the Canadian Police Information Centre (CPIC). This is the only national source of criminal records in Canada. A: BackCheck is committed to staying at the forefront of human rights, privacy, and employment legislation in order to ensure that the services we provide are fully compliant with all relevant legislation. To this end, BackCheck maintains a commitment to the highest level of privacy compliance and our entire process, from the development of consent forms to the secure environment within which we deliver reports to our clients, reflect this commitment. A: Typically, when candidates complete their application forms for employment with a BackCheck client, our client also asks the candidate to provide the necessary personal information to perform a Criminal Record Check. 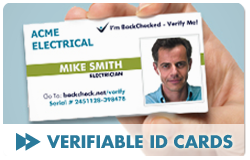 Once the candidate has provided the required information and provided signed consent for the check, BackCheck conducts the Criminal Record Check by utilizing the services of one of our police departments. Our contact at the police department will conduct the check, and report back to us in a timely fashion. BackCheck ensures the accuracy of results with numerous quality control measures, and returns the result to our client within one business day of receiving the request. A: A division of Checkwell Decision Corporation, Canadian-owned and operated BackCheck has been performing Criminal Record Checks for various clients across North America since 1997.